As much as I am all over power tools and DIY projects I really am a girly girl at heart. I like pamper myself now and again and using a sugar body scrub is an excellent way to do it. Sugar is as a natural exfoliate but is still gentle enough to be used on skin. The oil in the sugar scrub can protect your skin against moisture loss. Add a few natural essential oils and you have a wonderful way to make an expensive professional spa treatment from ingredients you may already have in your kitchen! Pin these sugar scrub recipes to your Pinterest boards for later! Share them with your friends! 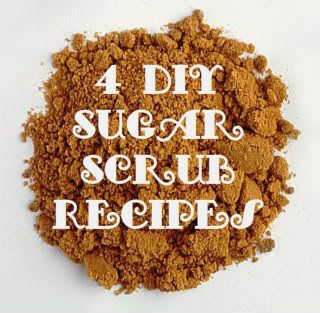 Here are four of my favorite natural sugar scrub recipes. They make great gifts too! What Can You Make From Broken Copper Pipes? Turns out that when the renters moved out of the house in January, instead of turning the heat down to 55 degrees like you should in a soon-to-be unoccupied house during a snowy winter, they turned the heat OFF COMPLETELY. They didn’t bleed the water lines dry so let’s do the math, shall we? One might think that the previous tenants did this out of ignorance. Chances are no. The renters were asked to leave after not paying rent for oh, say, the last 6 months of their stay. Hmmmmm...vindictive much? Consider yourselves formally crossed off our Christmas card list. Once the big pool of standing water was removed from the floor, the burst pipes needed to be found from behind drywall all over the lower level of the house and replaced. Even though my father-in -law has much more experience in a whole lot more DIY areas than me, this job was much more than evn our DIY skills combined could handle. It was time to call in a pro. Fortunately the man who lives next to the little gray farmhouse is a plumber. The job kept him quite busy for several months. At $22.00 an hour, the plumber’s family isn’t going to have to worry about being able to pay their rent anytime soon. As the dinner party progressed and Mom and Dad entertained us with the trials and tribulations of fixing up the house yet again and I think - blog fodder! I started snapping photos of the broken pipes. Suddenly Husband appeared over my shoulder. Husband: What are you going to make out of those? Me: Money? Scrap copper prices are pretty good right now. Husband: Yeah, but knowing you, you’re going to do something cool with the remains, right? Me: No. I’m going to blog about the broken pipes. Husband: Oh. That’s disappointing. I expected something cool. Looks like I’ve trained him a little too well in creative reuse department. What do you think? Is there anything I can make from burst water pipes? One of my very best friends is now the proud and happy owner of a hot tub thanks to Craigslist. His partner on the other hand, isn’t as happy because he said that he was concerned about how much more electricity this little extravagance was going to cost them. I get questions about saving electricity a lot because I now have quite the reputation among by friends and family as an Energy Savings Maven (hey, there could be worse things, right?) I wondered if there really was such a thing as an energy efficient hot tub. I asked J Williams of Hot Tub Works that same question and one of his staffers offered to write a guest post on the topic for me. Here you go my friends, this post’s especially for you! With the cost of electricity skyrocketing, it’s no wonder that we are constantly looking for ways to cut our utility budget. Saving money does not have to be difficult, and often requires just a few small changes within our homes. Even if you are new to the latest techniques, it’s never too late to make changes to keep your hard-earned wages in your wallet. Unfortunately, cutbacks and downsizing are causing many of us to reconsider our dreams and goals for the future. 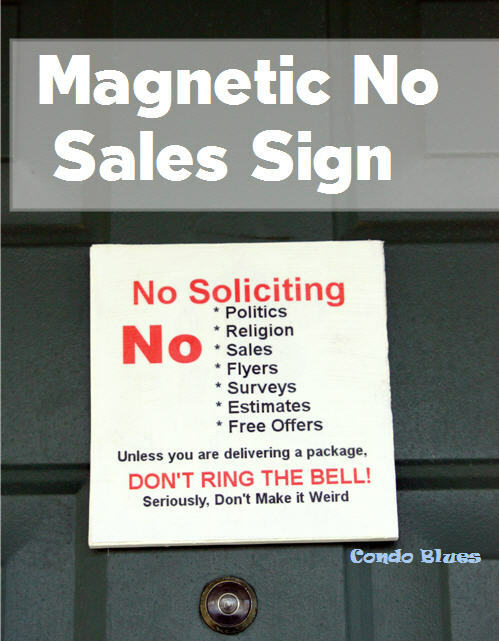 For many, this means saying no to a remodelled kitchen, summer patio, or relaxing hot tub. Can't Compost? Use Coffee and Eggs Instead! In Central Ohio Mother’s Day is the unofficial frost date. Plant anything before Mother’s Day and an April frost or two or three will most surely kill it. Plant after Mother’s Day and your plants should live. Mother’s Day is several weeks away and after looking at this dirt patch for the last 6 months or so, I’ve been jonesing for some flowers. I don’t want to spend a lot of time or cash on spring flowers because I’m going to turn the dirt patch into a raised garden bed. Any spring flowers I plant now will soon be sacrificed when we rent the jackhammer (yes, I said jackhammer -yahoo!) and start chipping away at the cement in the garden bed. What’s a gal to do? Once I had that whole Easter Bunny thing figured out as a kid I asked her to not put Peeps or chocolate covered marshmallow eggs in my Easter basket - pretty please - because I don’t like to eat them. Turns out the Easter Bunny didn’t like them either and bought because she thought her kids would like them. Turns out no one in the house liked Peeps. It was a heartfelt confession - a very After School Special moment. So what to do with all of those left over Easter Peeps if you don’t like them either? I suppose you could use them to make s’mores. Of course when I make s’mores I’m more about lighting the marshmallow on fire to please my inner pyromaniac than actually making and eating the confection. A charred marshmallow bunny face peeping out from underneath the graham crackers could lead to some sort of psychosis or inner trauma. Like I don't have enough of that in my life already. No, my friends, I say when life gives you marshmallow Peeps, pick up a glue gun and get crafty! You can reenact Great Scenes in Rock and Roll History. Soylent Green is PEEP-le! PEEP-le! Not much to say here other than that's a whole lotta sci-fi sugar. Whatever you do, don’t let those little Peepss party unattended. The results could be more than you bargained for. Yes, it's a Peep show. OK folks. Spill. Marshmallow Peeps. Love ‘em or hate ‘em? Like any good parent, Husband and I look for places and activities where we can take our kid. It just so happens that our kid is dog, so that limits where it’s appropriate or legal for us to take him for family fun. get free stuffspend some quality time together. The handsome men of Condo Blues! Mission accomplished on the free stuff. Blitzkrieg got free treats so he was happy. Blitzkrieg did not get this bone as a free treat. But he sure wanted me to buy it for him because it’s almost as big as he is! Husband got a free cloth baseball cap to wear and get sweaty when running. He promptly broke it in after we got home. Side note: I washed his hat in our washing machine and it survived! Neither of us expected that to happen. I didn’t stick it the dryer though. I let it dry on its own. I got a freebie tote bag. I didn’t realize until I got it home that it has a side pocket for a water bottle. I stuck my Earthlust bottle in the pocket so you can see it. Lo and behold once I cover up the logo, I think I found the new Dog Mommy Bag! I try to get a freebie swag tote bag at events I attend because I use them as reusable shopping tote bags. I also find that the freebie nylon backpacks are great for trips to the dog park, or for Husband to carry stuff in (keys, wallet, etc.) when he runs, and they’re very useful if you suddenly find yourself on crutches and you need to carry something around the house – guess how I found that one out? If I don’t feel like being a walking ad for the sponsor, I just turn the backpack around so the logo faces my back. Or I cover up the logo with something . Another thing I like about the freebie reusable tote bags is that if someone says they need a reusable tote and don’t have one (or are going to be on crutches) I just give them one of mine - no sweat. They don’t have to feel guilty or offer to pay me because they know I didn’t lay out a wad of cash for it. Personally I don’t mind if my reusable shopping bag has a logo that is different from the store I’m shopping at but I know some people do. My favorite tote bags are two canvas bags I bought from Kroger an eon ago. They are the first bags I fill from the stash. I figure if Meijer hates the fact that I bring my sturdy Kroger bag into their store then they can give me a Meijer branded tote bag for my groceries – at no charge. Funny, that never happens; they just pack up my purchases and send me on my merry way. 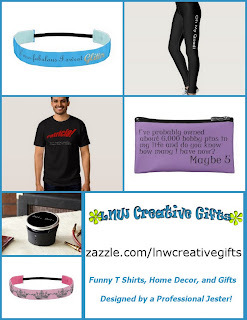 Plus using a free swag bag tote bag is an easy way to find out if you can make the reusable shopping tote bag thing work for you without laying out any cash. You can always upgrade your bags to something sturdier if you decide that you like it. How do you feel about logoed tote bags? Love them? Hate them? Do you reuse them, revamp them, or toss them aside? This post is part of Thrifty Green Thursday. I was caught off guard this year and just realized that Easter is fast approaching. I don’t have time to run to the store to buy an egg dying kit. Not to worry, I found two ways to dye Easter eggs with the stuff you may already have around your house. I’ve read that several sources have tried to use spices to dye Easter eggs. Most of the things they tried like beet juice didn’t work too well but one did – turmeric. It’s odd but we have a very large international population in Columbus. There are a ton of independent grocery stores for just about every ethnic population here - Middle Eastern, Asian, Hispanic/Mexican, and Hippie – those are our health food stores. I can get spices on the cheap and sometimes in bulk if I buy them from the ethnic/health food stores. However, your mileage may vary. Scene: A lazy Saturday morning. Lisa is snoozing her life away snuggled under 7 blankets on her bed. Husband enters the room. Husband: Lisa, wake up. I already took Blitzkrieg out side for a potty. Husband: I made scones for breakfast. Yes, my wonderful Husband whipped up a batch of cherry scones and served them with teeny jars of clotted cream and lemon curd for breakfast. The cherry scones were a wonderful surprise because weekend morning breakfasts are usually a fend for yourself type of deal. The only exception is that one of us makes a gallon of coffee which we sip throughout the morning at our leisure. Even better was that Husband used our baking stone to make the scones. A seasoned baking stone is a wonderful alternative to using a Teflon baking pan which can leach questionable substances into your food while you cook it. It also saves me a little bit of money because I don’t have to use cooking oils, butter, spray with a seasoned baking stone.